Yes, it’s true! 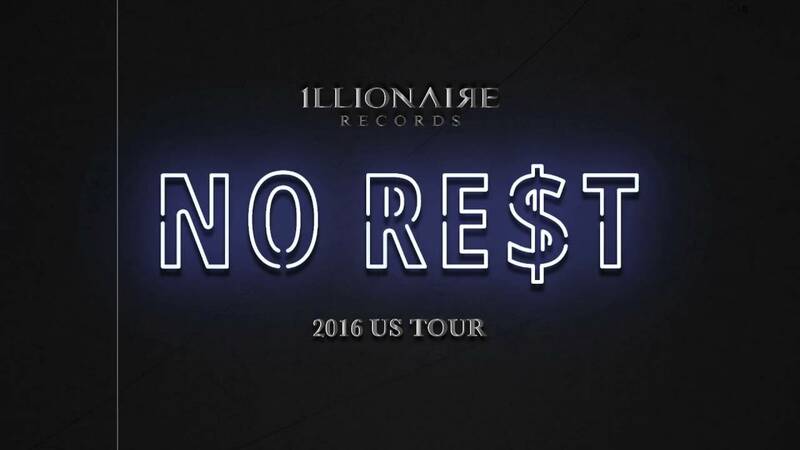 Illionaire is sending their very best, Dok2 and The Quiett to the USA for their first nationwide tour! 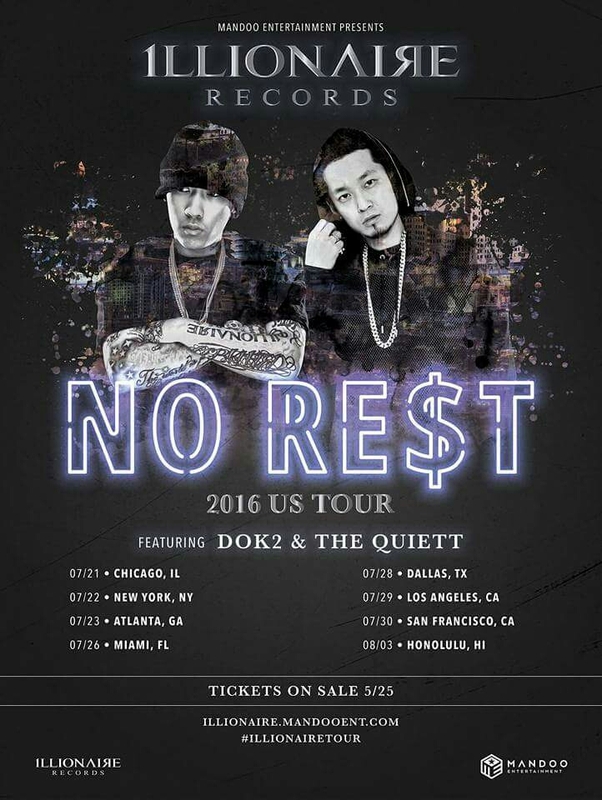 Rapper and producers from Illionaire Records, Dok2 and The Quiett, will be visiting 8 cities between July 21st and August 3rd. These two are featured all over the place, being part of one of the most influential hip hop labels in South Korea, or you might have seen them on Show Me The Money 3 & 5. Tickets go on sale TOMORROW, May 25th! For more information regarding ticket pricing and availability, go the official tour website! The NO RE$T 2016 US Tour is brought to you by Mandoo Entertainment. Be sure to like them on Facebook and don’t forget to also like their official tour Facebook page, too! See you there!